At least that was the consensus of experts and attendees at Contact in the Desert, an annual conference devoted to all things extraterrestrial. 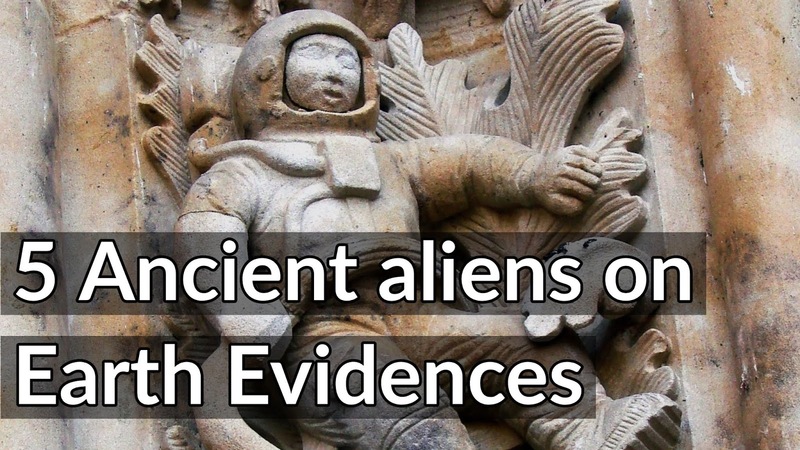 From the raising of the Egyptian pyramids to the mysterious Nazca Lines and the ominous heads of Easter Island, the creation of many ancient constructions has been attributed to interstellar visitors. For decades, these impressive man-made sites have been scoured by crypto-archeologists in the hopes of discovering evidence of extraterrestrial intervention. 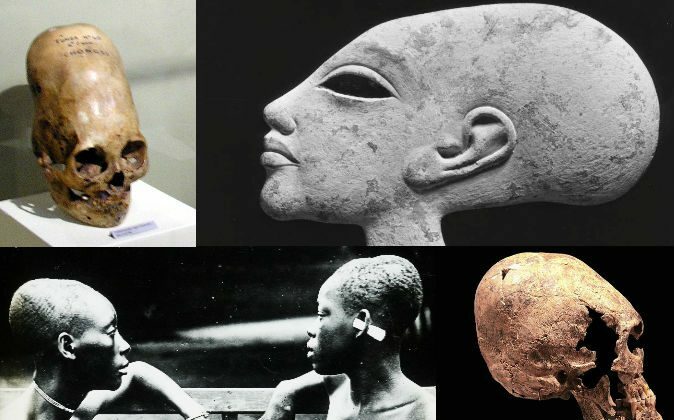 The depictions of Akhenaten were not just a different artistic style of the time, nor was it due to biological deformities. With his elongated features, especially his skull, and overall strange shape of his body with an abnormally larger mid section, how could it not remind us of the look of an alien. The name “Akhenaten”, as stated in class, means “living spirit of Aten”, being, of course, the disk of the sun. As it turns out, these theorists have suggested that maybe this “disk” was something of a UFO, after all it is a large disc shape that hovers in the sky. The argument against it just being the sun is that if Akhenaten says he came from it, then there must be something more to this object. The magnificent great Pyramids of Giza are popular fodder for conspiracy theories and the whole of the ancient Egyptian civilisation has in one way or another been linked to bizarre alien conspiracies. But one of the most convincing bits of evidence aliens have in fact helped raise the ancient civilisation is a set of unusual hieroglyphs in the 3,000-year-old Temple of Seti in Abydos, Egypt. 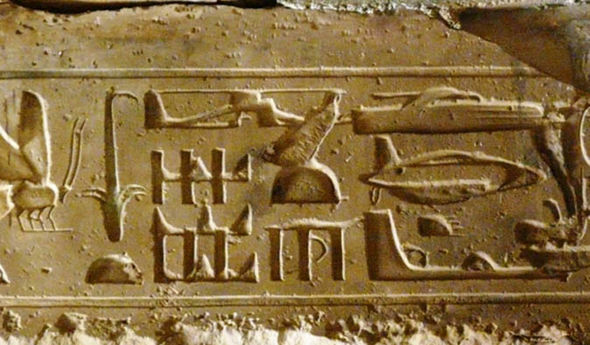 Among conspiracy forums, the icons have become known as the “Helicopter Hieroglyphs” for supposedly showing eerie pictures of what appears to be a helicopter and futuristic aircraft. Some pseudo-archeologists who have seen the glyphs in person claimed they were left behind by time travellers while other suggested they were left behind to honour alien visitors. Most genuine archeologists however will agree the icons are the simple result of typographical errors – overlapping symbols in a day and age where typos were quite literally set in stone.